Robust 2 section ladders with thick aluminium extrusions. Large slip-resistant treads, W x D: 385 x 90mm. Raised and lowered by spring assisted radius arms. Supplied with one handrail, operating pole and fixings. N.B: Trap door not included. Please refer to the 'Technical' and 'additional info' for relevant loft opening sizes, etc. NB. Required dimensions quoted are those for the minimum useable loft opening size. As the loft opening size increases, these requirements lessen. For further assistance ring the helpline on 0800 294 4440. 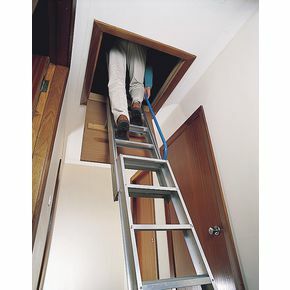 Going up and down a ladder into your loft can be a regular occurrence in some households and making sure you have a sturdy and safe ladder is important. 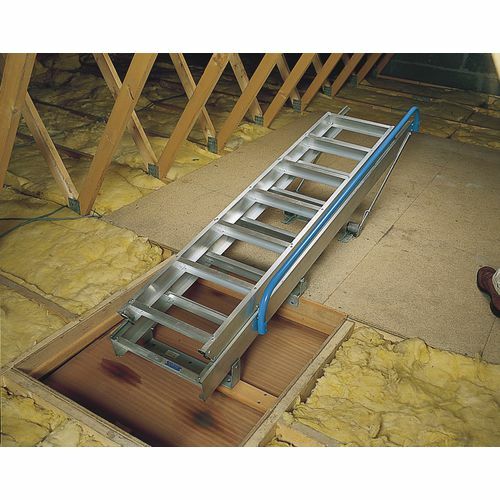 Our aluminium loft ladders are ideal additions for your loft, providing an ideal solution for accessing your storage area. This two section ladder is secured in place with a safety catch and comes with a handrail on one side for extra safety and security. The treads are wider than standard ladders to ensure greater stability and are slip-resistant for your peace of mind. 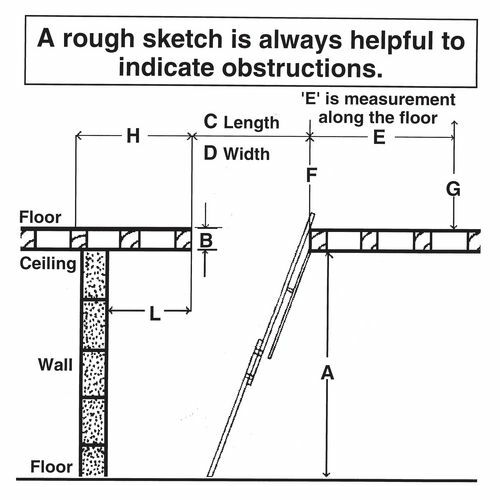 Please refer to the ‘Technical' section when determining which size ladders you need and with information on relevant loft opening sizes, etc. They are available in five maximum ceiling heights; 2440mm, 2720mm, 3000mm, 3280mm or 3560mm. 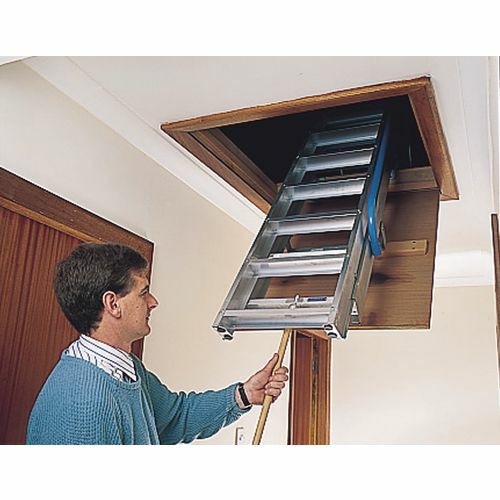 Our aluminium loft ladders are safe and stable for easy access to your loft space. They come with a 12 month guarantee and FREE UK Delivery.